To say that Fiji is close to New Zealand is a bit like saying that Scotland is close to Spain – such is the scale of the Pacific Ocean. But at 18 degrees South, seven or eight hours of sunshine per day is typical throughout the year – making Solar energy an obvious choice for islanders who wish to overcome any breakdown in grid-electricity supply. 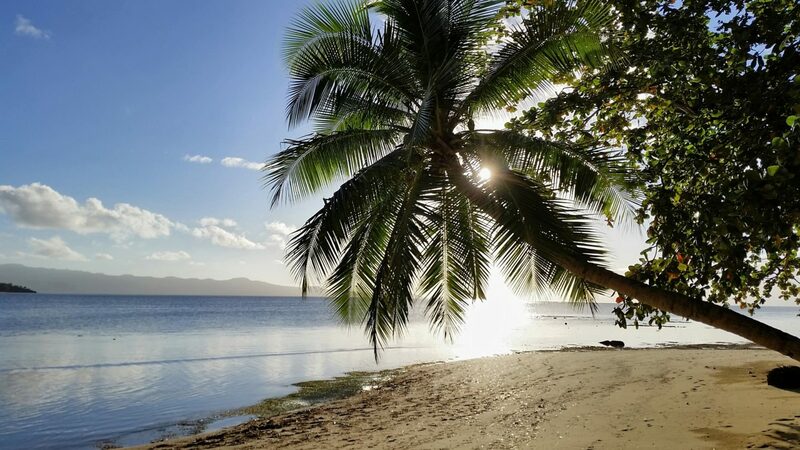 With 300 islands scattered over its pristine clear waters, reflecting blue skies, access to the public grid has some obvious limitations in Fiji. Due to high energy demands, certain areas of the main islands experience occasional blackouts or brownouts. For some, energy back-up is essential. 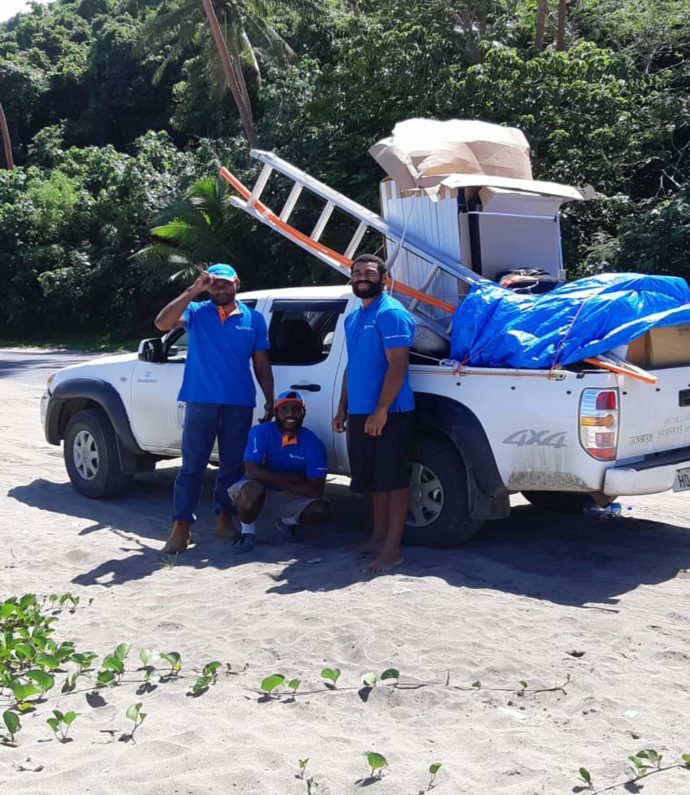 That’s where Solar Fiji – a renewable energy company based in Nasinu, Suva, on the beautiful tropical islands of Fiji – step in. 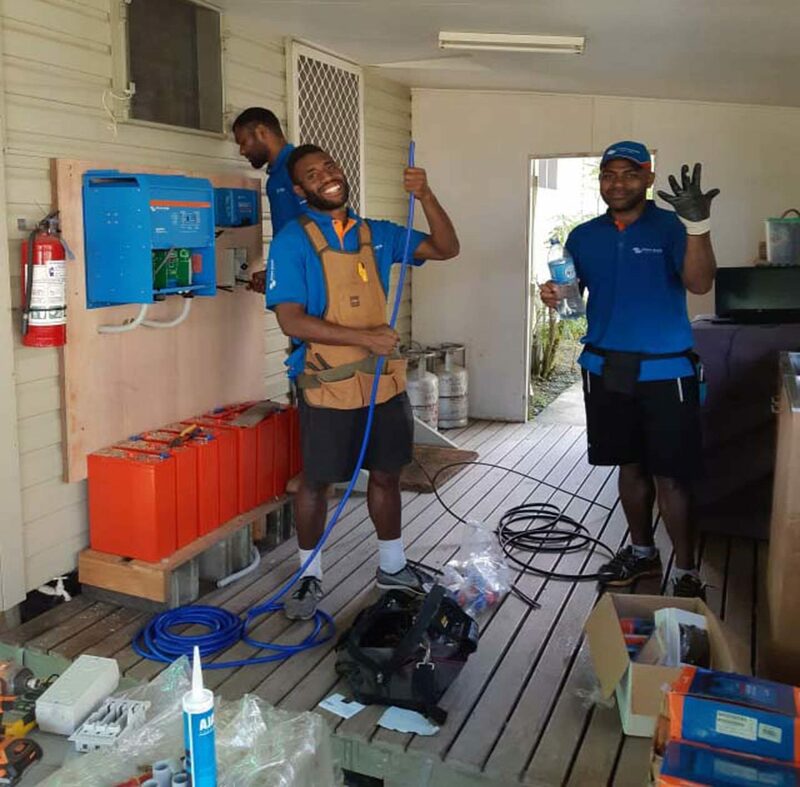 To meet local demand they employ five technicians who have been trained on the island, and at The Green Power Company HQ in Melbourne Australia. The Morris’ residence on the western side of the main island, for example, occasionally experience unexpected blackouts which disrupts their work, and their lifestyle. Not any more. One of Solar Fiji’s most recent installations, the family have recently provided themselves with an independent power provision which will allow them to enjoy an uninterrupted power supply. A Victron Quattro 48/8000 inverter charger has been chosen to meet the family’s occasional high power demand which might otherwise cause a trip to occur when any heavy-loads are turned on. Quattro’s PowerAssist feature allows battery power to be added to grid power offering a Peak Power Capability of 16kW …it’s hard to imagine what it can’t do. By installing a grid connected solar (PV) energy supply, electricity reliability increases to 100%, silently, and without burning fossil fuels. And whilst energy prices are increasing (and we are all using more of it) the cost of solar energy installation will soon pay for itself providing you with free electricity and ensuring that you, too, live a little closer to paradise. When you actually live in paradise, and all the hard work is done, you might as well pull-over for a few minutes to inspect the beach. 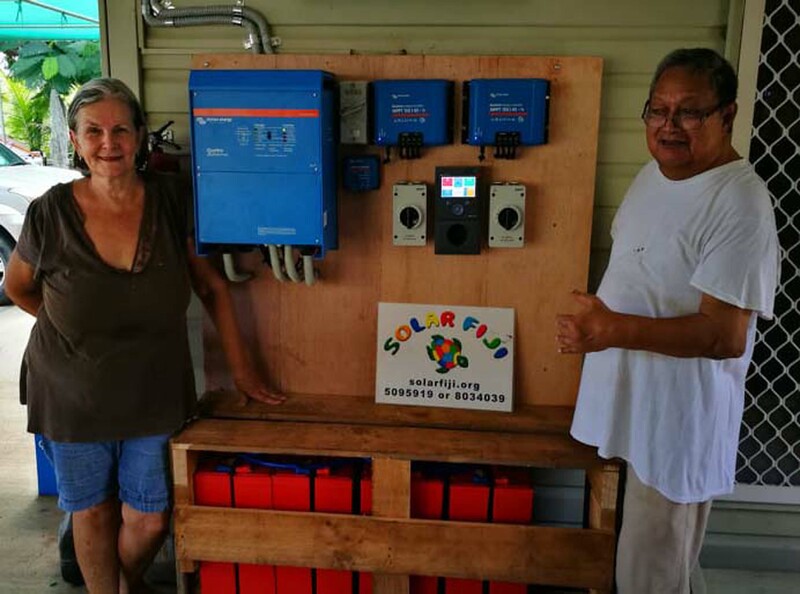 Thank you to Ayshna Lal at The Green Power Company; and to Victron’s Chris Soumbassis for bringing us news from the tropics.